This awesome I can`t believe you got to see one of the longest Animals in the world! I bet it was a lot of fun! Next Time maybe you could put a little bit more photos in about what else you saw. How many animals do you think were their?? This class trip looked like really good fun what was your favorite part about the trip. 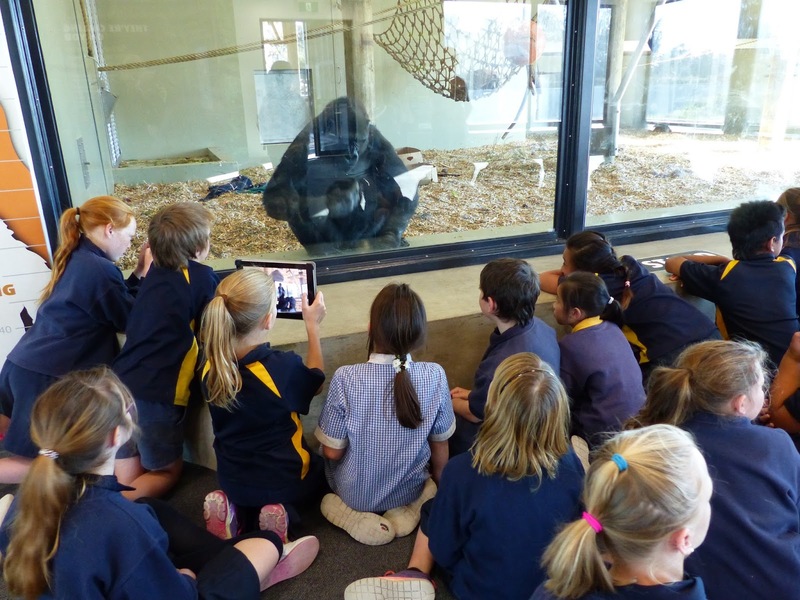 If you have another class trip would you go to Orana Wildlife park. This is amazing it looks like you guys had a lot of fun. Maybe next time you could tell us a little bit more about what you saw and how you found the trip. What was you'r favorite animal you guys saw ? Hello my name is Anna and I'm from Greymain Primary School I really like the girffices. this reminds me of when we where in auzzie and we saw turtles and eels it was awesome was it fun at Orana Wildlife park? Hi Im from Gilberthorpe School My name is Boston I really love the photos of you guys and girls taking a good look at the gorillas by the way why did you guys go to Orana Wildlife Park and what for. Helo my name is Amelia and I'm from Gilberthorpe School. I really like gorillas infact last week my school went to Orana Park and had so much fun! Hello i'm from Gilberthorpe School. My name is Jordan i'm a year six. I like the photos of all the animals. We went to Orana Wildlife Park last week. Hi my name is Elham and I am from Gilberthorpe school. 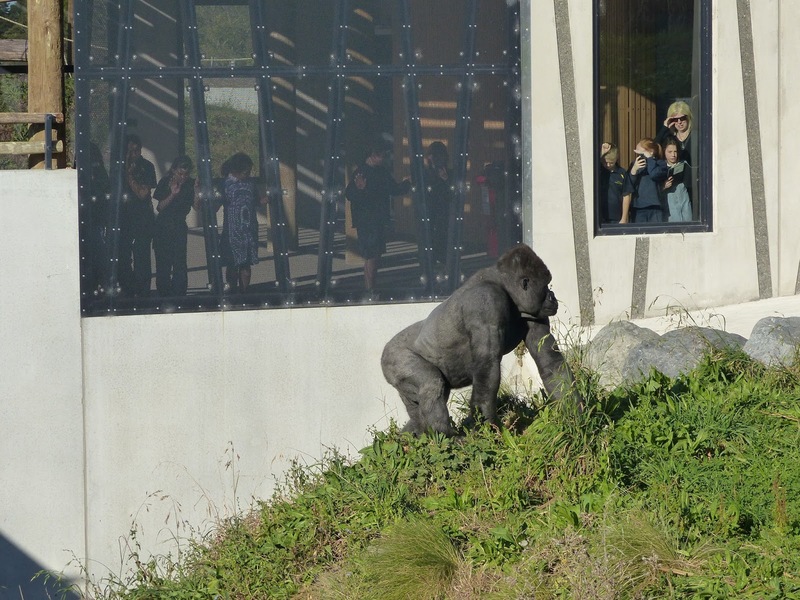 I really like the gorilla.Our school have been there too and it was awesome. Hi i'm Hannah from Gilberthorpe school I really like the photos of you guys looking at the animals also we went to Orana park to anyway why did you go to Orana Park. Because we wanted to learn about animals. Hi I am Olivia from ODS. Wow, that looks like lots of fun. I like the photos you took. What were your favourite animals there? Hello my name is Lahtel, I am from Owairaka School. I like your photos looking at the animals and the zoo. My favourite animal was the gorilla because it is big and dark black. What was your favourite animal? WOW! 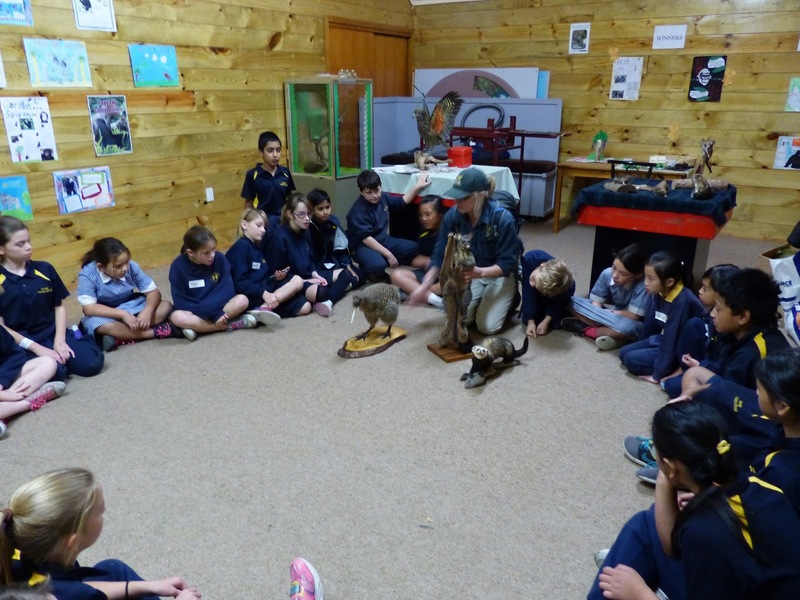 How did it feel when you were told that you were going to go on a trip to Orana Wildlife park? And how did you feel when you saw all the great animals like the Gorilla, Giraffe and Kiwi? It must have been amazing! Hi my name is Janice from ODS. 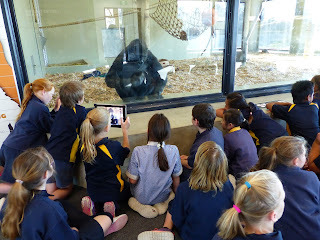 I really like the pictures that are there and I hope you had fun at Orana Wildlife park. Did the whole class go? Was there lots of animals? Hi I'm Jordana and the zoo looked super fun. I really like Giraffes and monkeys and if you guys didn't see the monkeys its okay because I have seen some everyday.Cause my mum works at the zoo and she lets us go there on Sundays and Saturdays cause that is the weekends. Hi My name is Katelin from Greymain school.Looks like you have had a lot of fun learning at Orana park I have also been to Orana park was there a tour guide with you? and did you go around the whole park? Aloha my name is Megan from Grey Main School in Greymouth. WOW! The animals in the photos look so cute. I have always wanted to see a giraffe. What other animals did you see? 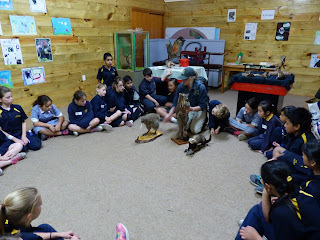 Did you see any native animals when you were there, like a kiwi? Howdy my name is Liam and I'm from Mamaku hub Grey Main School. These are very cool pictures of all of you learning. I wish I was there with you on your trip to Orana park. Farewell Liam. 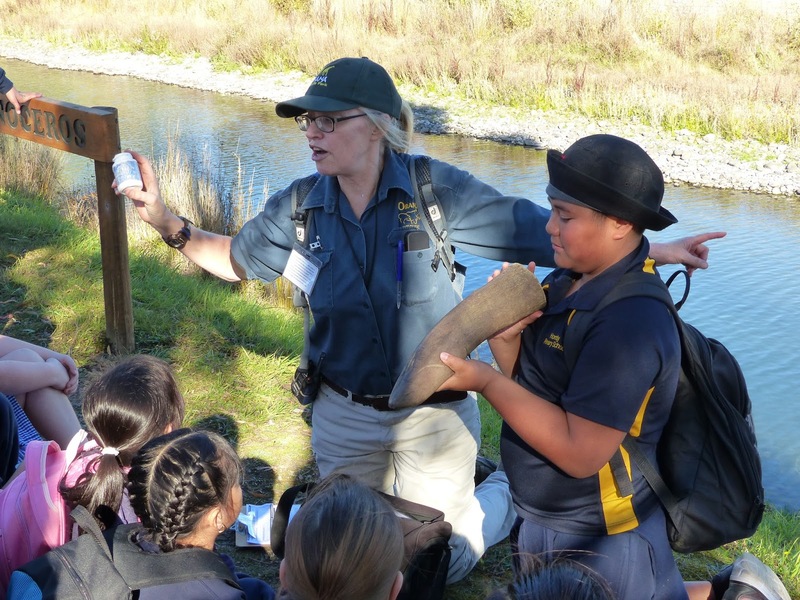 Hi there my name is Jordan and i am a student of owairaka primary school i am in room 21 at i think it is very cool that you got to go the zoo it is cool that you got to feed the drafts .Have you thought about taking a video next time you go on a school tripe. Kia ora Ako Ngatahi! My name is Katelynn from Mamaku 3 at Greymain school! I really like the photos you took! Did you like feeding the Giraffes? 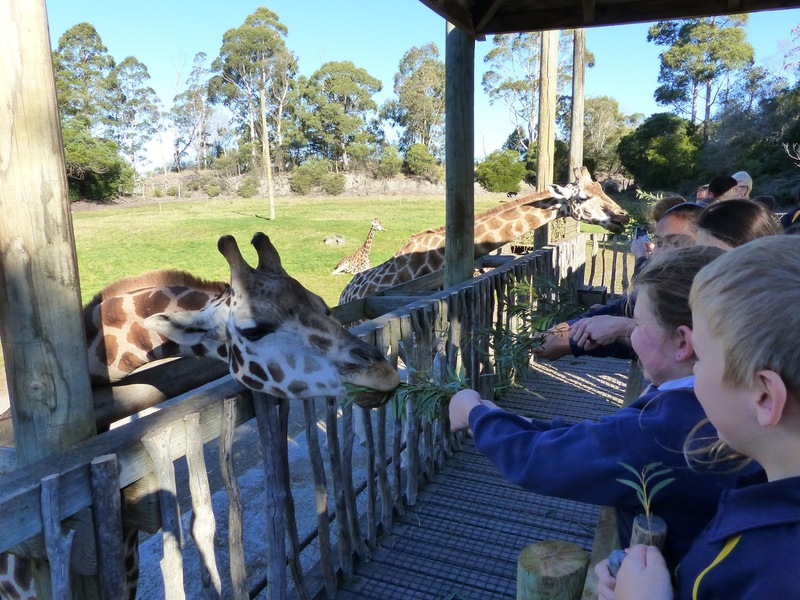 Looks like you had lots of fun at Orana wildlife park! The gorilla looks very hairy! Maybe next time you could add some more pictures to show us what you learnt and your smiling happy faces! Kia ora Ako Ngatahi I'm Isaiah from Mamaku hub at Grey Main School. I like Orana Park it is fun but i haven't seen the gorillas. Was it fun and awesome. I think it is amazing at Orana Park. Did you go see all of the animals or just a few? Aloha Ako Ngatahi I'm Hannah from Grey Main School's Mamaku Hub. Wow! Orana Park looks like a lot of fun! I wish I went there. I have never been that close to a Giraffe before! You must have had heaps of fun there. Is there a reason you went there? Kia ora Ako Ngatahi I'm Heidi from Grey Main School's Mamaku Hub. Going to Orana park looks like so much fun. I wish i could go there again. THis remindes me of when i went to Orana park because it was so much fun. Why did you go to Orana park? Kia Ora Ako Ngatahi, my name is Levi C. I like how you are telling us the information about your classes trip to the zoo. I like your videos that you have made on your classes blog. Did you really enjoy going to the zoo. Was your favorite part feeding the animals? I am from Grey Main. Morena Ako Ngatahi. It's Kyra again from Grey Main School. I love your pictures of the zoo because I love animals and I have bee to many zoos throughout my life. Maybe next time you could tell us why you were going to the zoo. Miharo (Awesome) Pictures! Kia ora my name is Regan from Gray Main School.I love your pictures because I love animals I really like pictures kurnt watt to I go ther Awesome pictures.What was your favourite part and was it fun?.